Keep Your Pet During Tough Financial Times! 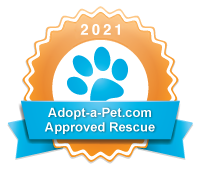 Small Paws® Rescue Inc. is 501-C3 Tax exempt charitable organization. All donations are tax deductable. © 2019 Small Paws® Rescue Inc.
Small Paws® Rescue Inc., a charitable, Federal not-for-profit organization, is to rescue and supply non-aggressive Bichons, nationwide, with love, shelter, food, human companionship, and medical care, until permanent placement is secured into a pre-screened loving home, as our resources allow.